Jeep's 2018 Grand Cherokee leads the durable and functional SUV pack by claiming the title of most awarded vehicle in its class! 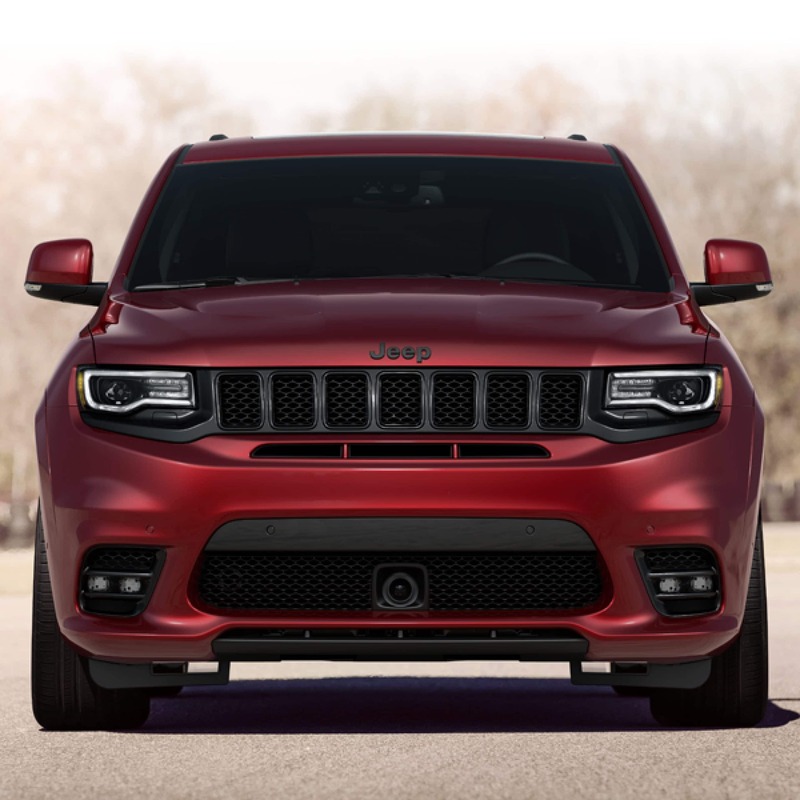 Five powertrains and seven amazing trim models - the Laredo, Limited, Trailhawk, Overland, Summit, SRT, and all new Trackhawk - fulfill your particular wants for performance and luxury, with plenty of packages to incorporate the features you want in the trim configuration that suits you best. Jeep is all about its versatility and performance; the Grand Cherokee comes in either rear-wheel drive or four-wheel drive, with exception to the 4WD-only Trailhawk, SRT, and Trackhawk models. Nothing hinders the 2018 Grand Cherokee from matching the brand's signature abilities on road or off, through practically any weather or terrain conditions. Here, we present to you the details of the seven trim types to better inform you about your choice and make your shopping easier. Here are the 2018 Grand Cherokee models! Laredo: Starting at $30,895 MSRP, the base Grand Cherokee Laredo comes with the already capable 3.6-liter V6 engine, providing 295 horsepower and 260 pound-feet of torque to its drivers. With this motor, the Grand Cherokee Laredo has a payload capacity of 1,200 pounds and can tow up to 3,500 pounds! Paired with this engine is the eight-speed automatic transmission, driving power into the 17-inch wheels. Additional standard features include the heated mirrors, rearview camera, rear parking sensors, keyless ignition and entry, dual-zone automatic climate, a 7-inch touchscreen multimedia control with Bluetooth and two USB ports, and the six-speaker sound system to enhance the car's entertainment on the road. Features of the infotainment touchscreen are dual-controlled with convenient wheel-mounted audio and phone controls. 36.3 cubic-feet of storage is offered standard within the trunk space, expandable to almost 70 cubic-feet with the 60/40 rear seats folded down. For those who want a little more in comfort and convenience, the Laredo offers the E Package, including power-adjustable driver's seat, 18-inch wheels, an upgraded 8.4-inch touchscreen with navigation, heated front seats and steering wheel, a power liftgate, and remote start. Furthermore, the Upland Package introduces 4WD, 20-inch wheels, blacked-out accents, and a power sunroof to the Laredo. Limited: The MSRP priced $38,495 Limited is the next trim type, presenting drivers with greater quality-of-life comforts and an available upgrades in the powertrain. Engines are in your choice of the standard V6 or a turbocharged 3.0-liter diesel-powered V6, trading some horsepower for greater fuel efficiency and mileage range. For those who want an all-wheel drive SUV, the 4WD drivetrain is offered with the 5.7-liter V8 engine, raising power to 360hp and 390 lb-ft of torque. Standard equipment on the Limited includes 18-inch wheels, remote start, auto-dimming driver-side and rearview mirrors, a power liftgate, heated steering wheel, 115V three prong outlet, heated front and rear seats, leather upholstery, power front seats, and driver-seat memory settings for your perfectly configured ride. If you're hoping for more, the Limited doesn't disappoint; the Luxury Group II Package adds nine speakers, xenon headlights with automatic high beams, dual-pane sunroof, ventilated front seats, power-adjustable steering wheel, and the 8.4-inch navigation touchscreen setup. Trailhawk: For those who want to off-road in style, maximizing on comfort and capability for wherever your adventures may lead you, the 2018 Grand Cherokee Trailhawk is the all-terrain specialized trim option to suit your journeys. Starting at $43,595, the Trailhawk is one of the most versatile vehicles in its class. Taking the Limited's features, the Trailhawk adds trim-unique exterior flourishes, front and rear tow hooks, 18-inch all-terrain wheels with high-performance tires, standard 4WD with low-range gearing, and an electronic rear differential programmable via the onboard five terrain-selectable traction control modes. The adjustable air suspension increases suspension travel and clearance heights, aided by hill ascent and descent controls, underbody skid plates, and an upgraded instrument cluster display for specific performance stats. Overland: The Overland is the first entry into the 2018 Grand Cherokee's luxury trims, expanding upon the convenience and classy features of the Limited. For a starting MSRP of $45,295, the Overland comes standard with 20-inch wheels, automatic wipers, xenon headlights with automatic high-beams, LED daytime running and fog lights, a dual-pane panoramic sunroof, navigation, power-adjustable steering wheel, and extended Nappa leather upholstery throughout the cabin space. The sound system is upgraded to nine Alpine speakers with a 506-watt amplifier, with HD Radio added into the touchscreen options. The High Altitude Package adds blacked-out exterior accents and a suite of driver assist features. A rear-seat entertainment system is available, as well, to make the long drives easier on your passengers. Summit: If you're looking for top-shelf upscale appeal, the $50,995 Grand Cherokee Summit brings every possible feature to its highest quality. The 20-inch wheels are polished to shine, active noise-cancelling technology and glass is added for a hushed, smooth ride, and leather upholstery is accented with a rich diamond-quilted design. Headlight washers, front parking sensors, a nineteen speaker Harman Kardon audio system, and unique front fascia are also added to boost the beauty of this slick SUV. The suite of driver assist features becomes standard within the Summit, including adaptive cruise control, blind-spot monitoring, rear cross-path detection, forward collision mitigation system, automatic emergency braking, lane departure warnings, and even parallel/perpendicular self parking. SRT: Want power to match the luxury of the 2018 Grand Cherokee build? Then you should look at the SRT, MSRP starting at $67,695. Track ready capability is delivered via the 6.4-liter HEMI V8 engine, all channeled through the efficient eight-speed automatic transmission with Eco Mode and Fuel Saver Technology to churn out 475 horsepower and 470 pound-feet of torque via the high-performance-specialized AWD system. An adaptive sport-tuned suspension, sport-tuned steering and Brembo brakes, sport-minded body kit, limited slip rear differential, and selectable performance modes all enhance the handling of this vehicle to hug the curves and speed through straights. The interior is race-inspired, featuring black leather bucket seats. Trackhawk: The all new 2018 Grand Cherokee Trackhawk is the pinnacle of this SUV's high-performance capabilities. 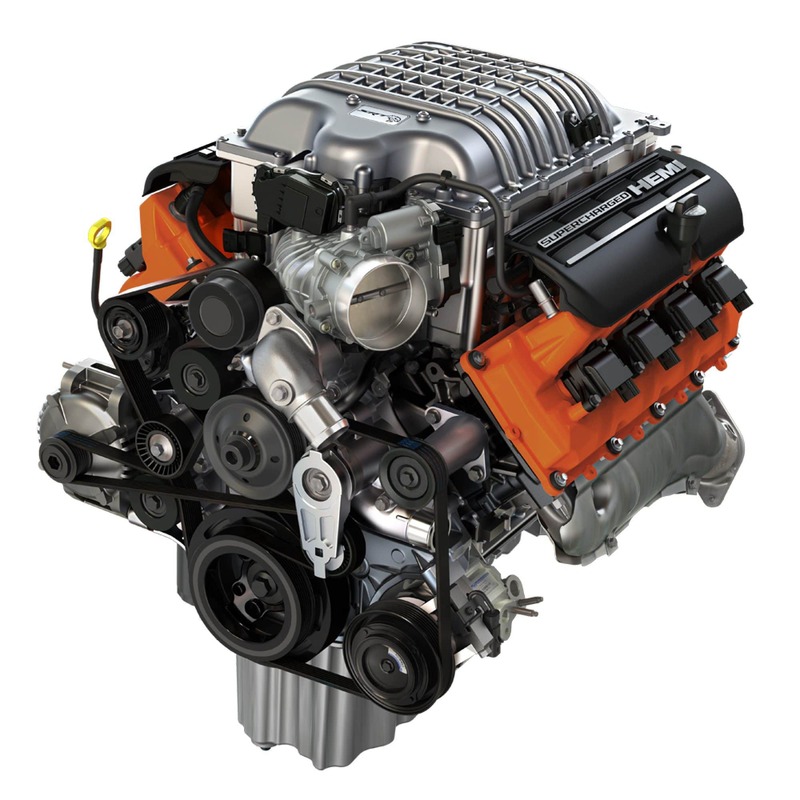 You can get the supercharged 707 horsepower 6.2-liter HEMI V8 engine starting at $86,200. Paired with this system is an upgraded eight-speed transmission with paddle shifters, upgraded adaptive suspension and Brembo brakes, launch control, a more aggressive body kit, and lightweight high-performance 20-inch wheels, making this the quickest and most powerful SUV on the current market. This trim model speeds from 0 to 60 in just 3.5 seconds, running a quarter-mile in just 11.6 seconds. Five dynamic drive modes personalize the handling and performance of the Trackhawk depending on the road or track, including modes for Auto, Sport, Track, Tow, and Snow. High interior luxury also comes within the Trackhawk's package, coming fully equipped with the same features at the SRT. The 2018 Grand Cherokee sets the standard for being the most versatile SUV model, tackling roads and terrain from the furthest, remote off-roading to speeding along the race or drag track. Want to see what our Grand Cherokees can check off your shopping list? We invite you to look at our new inventory to find the model that suits you. Feel free to schedule a test drive of your trim of choice! Reedman-Toll is happy to serve you to aid in finding your perfect SUV.